Tea has been consumed in China for thousands of years, so it is no surprise that the Chinese tea culture is a strong one. Preparing and serving the tea are just as important as the drink itself. The Chinese are credited with discovering and first drinking tea. It was originally drunk for medicinal purposes but has since become an everyday beverage. 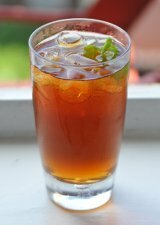 Tea continues to be a popular drink at both formal and informal gatherings. It is served with meals and offered to guests. Tea brewing and presentation, and even the teaware itself is a big part of Chinese tea culture. There are different ways to brew tea depending on the formality of the occasion. 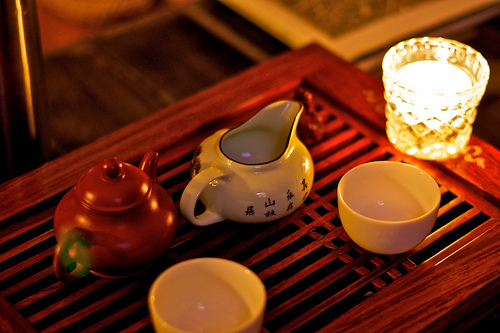 The Chinese tea ceremony (also called Gongfu tea ceremony) is a traditional and skillful way of preparing tea. It is also the most formal method. Any tea can be used but traditionally fermented teas, like black or oolong, are served in the ceremony. During the ceremony, the tea is brewed and poured into teacups in front of the guests. 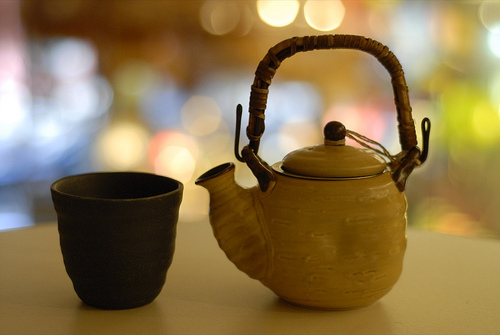 A Chinese tea ceremony traditionally uses small drinking cups and a Yixing teapot made of unglazed clay. Over time, the clay absorbs some of the oils and essence from the tea. Yixing teapot, serving teapot, and drinking cups on a tea tray. Heated water is poured into a teapot that is approximately 1/3 filled with dry tea leaves. The tea is transferred into a serving teapot and then poured into cups. The first pour is only to warm and season the cups and is discarded. New hot water is added to the teapot. After a short brewing time, the tea is poured into the serving teapot and then into the cups. More water can be added to the same teapot, creating up to five infusions with the same leaves. Attention is given to the water quality and temperature as well as the brewing time to bring out the best flavor in the tea. Although the Chinese tea ceremony is not as elaborate as what you would find in Japan, certain customs have evolved. For more details about the Chinese tea ceremony, see simplyrecipes.com. A less formal brewing method involves using a gaiwan, which is a porcelain bowl with a lid and saucer. The tea is either drunk right from the bowl or poured into another container. The lid is used to hold back the tea leaves when drinking or pouring. This method is used for tea tastings, casual meetings, and at restaurants. This is an appropriate method for all teas but is particularly good for delicate teas like green. The most informal method of brewing tea in China is simply combining tea leaves and hot water in a pot or kettle. This is a common method for brewing tea at home. Chinese teacups typically do not have handles. In China, tea is considered one of the seven necessities to begin the day. The other six are firewood, rice, oil, salt, and vinegar according to the old saying. Throughout the centuries of Chinese tea culture, tea has been a common beverage at family gatherings and wedding ceremonies. Serving tea is even used to show respect, offer an apology, or as a way of saying thanks. In everyday life, tea is consumed throughout the day and always offered to visitors. 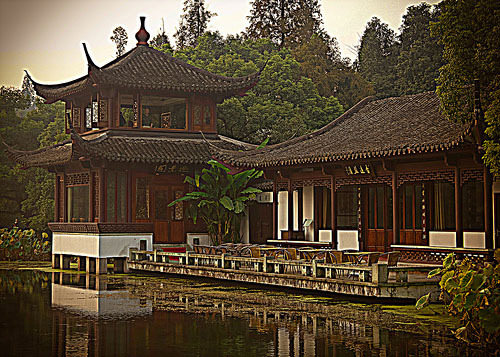 Tea houses have been in use in China since ancient times and are still part of the Chinese tea culture. They have long been a part of Chinese life as places for all different people to meet, socialize, be entertained, and trade ideas. Tea houses continue to be gathering places for meeting with friends. They can be located in really beautiful settings such on water or in parks. Tea houses in China play a similar role as cafes and coffee houses do in the West. 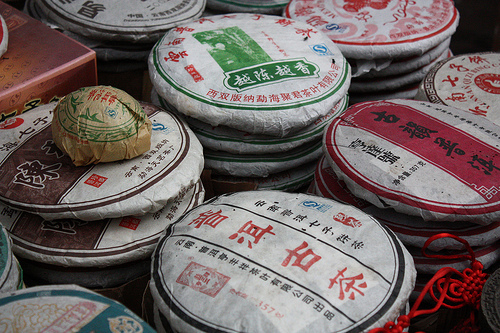 Since tea is grown and processed in China, many types and varieties can be found there. Tea drinking preferences vary throughout the country. 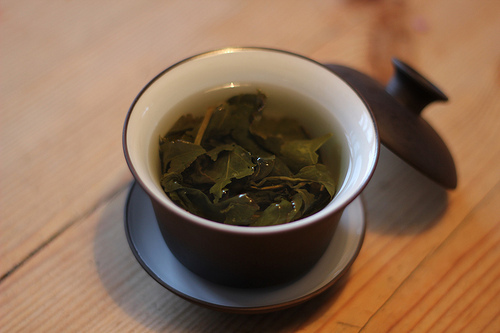 Green tea is the preferred tea in most of China, although black tea is popular in Fujian, Guangdong, and Hong Kong. Oolong and scented teas (where flowers are mixed in with the tea leaves) are also common in China. Chinese teas tend to be less strong than those grown in India. If you find Chinese tea culture interesting, be sure to check out our other tea culture pages!